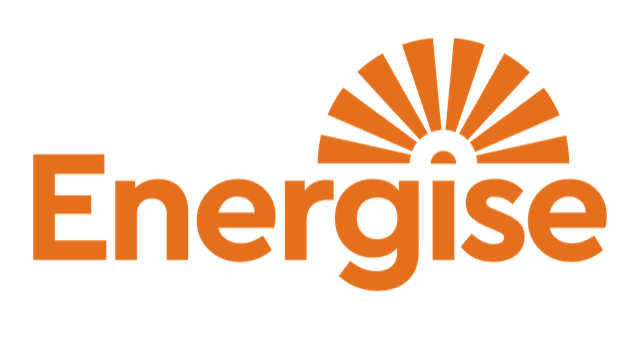 Energise Health | Why Attend A Lunch & Learn Workshop? Why attend our next Lunch & Learn workshop? 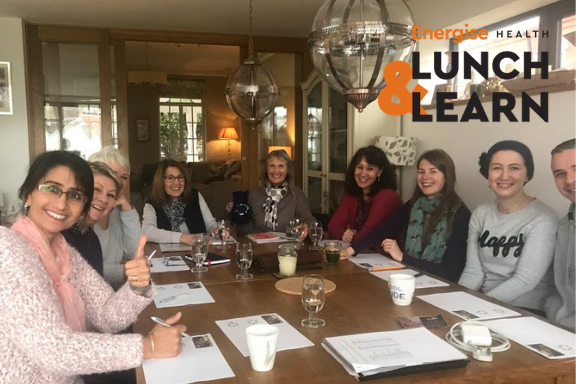 The Energise team is still buzzing from this week’s Lunch & Learn workshop! 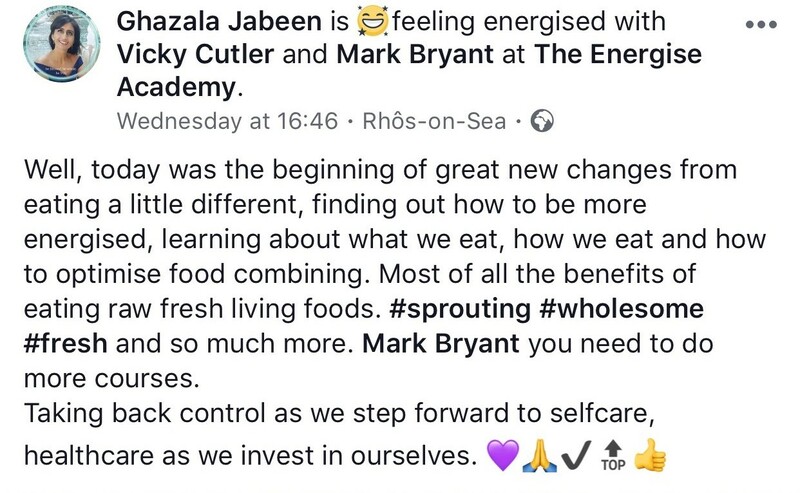 Sharing our knowledge is one way we can work towards our target to #energise1millionfamilies to incorporate more living and raw foods into their diets. 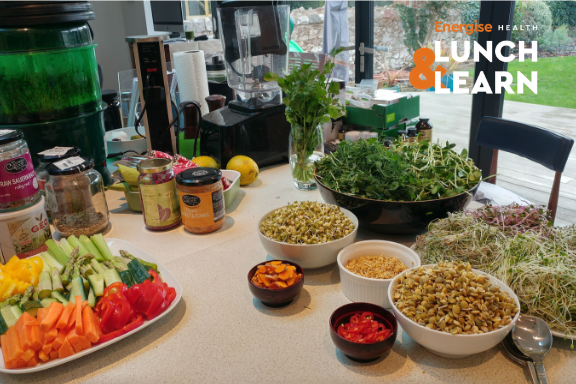 The Energise Health Lunch & Learn workshop is designed to pass on everything our founder, Mark Bryant, has learned about food and health on his journey back from cancer. You don’t have to be a raw foodie, a vegan, or even vegetarian to benefit from this workshop – it’s for absolutely anyone that wants to improve their health and feel energised. Once the introductions are out of the way, we’ll dive straight into Food Fundamentals, where you’ll learn all about the benefits of raw and living foods. Mark will then show you the equipment he uses to grow living foods, how to set it up, what seeds to buy, and how to store the cultivated sprouts, before a live food prep demonstration. 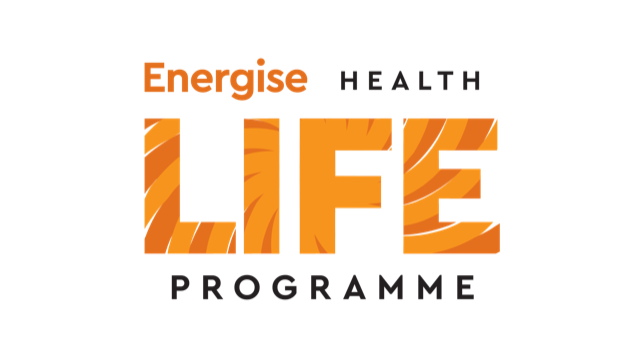 The Energise Health team will prepare the Lifeforce Buffet Lunch, designed to prove that raw and living foods can be tasty, and show you the sort of foods you could prepare at home. The menu varies at each event, but at this week’s event, we served up a spicy biryani with red pepper sauce; a salad of sprouts including sunflower, snow pea, broccoli, and alfalfa; sauerkraut; marinated mushrooms; and flax seed crackers. It may inspire you to completely transform your lifestyle. It may encourage you to swap your regular salad for a living salad. It may just make you more aware of the food you eat. 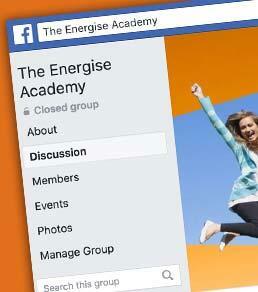 But whatever you take away from the workshop, we’re confident you’ll leave feeling educated and energised. To find out what this week's guests thought, read the reviews below and watch the video above.